Fuller lips have long been considered one of the hallmarks of female beauty. Unfortunately, our lips often lose volume as we get older, meaning that our mouths become less defined and sometimes droop at the corners, making us appear older. At Bodyvie, we can help you reverse these common effects of ageing, using our highly effective lip enhancement treatment which can help to give you a more youthful, radiant appearance and a fuller, natural-looking smile. Our revolutionary lip enhancement uses a soft hyaluronic acid dermal filler to make subtle alterations to the contours of your lips, which can give definition making them appear smoother, softer and more luscious. The filler we use for your lip enhancement treatment has less hydrophilic than other dermal and lip fillers, so it absorbs less water and can keep post-treatment swelling to a minimum. This way you may resume your day-to-day activities soon after your treatment. Though there will be some redness and tenderness in the injected areas initially, this can subside within a week of your treatment. We normally advise you to avoid make-up for 12 hours after the procedure, and we also recommend avoiding the sun, saunas, and steam rooms for a couple of weeks. After the lip enhancement treatment, the lips often swell a little making the final results visible only after a couple of days when the swelling spontaneously resolves. The results of this treatment can last up to a year, though this varies from person to person. 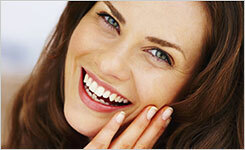 We suggest to have a touch-up session every 2 to 4 weeks in order to maintain the initial results. Each treatment may vary from one person to another. Contact us to arrange a consultation and take the first step towards the perfect pout. After an in-depth consultation to discuss your requirements, this virtually pain-free treatment is performed by Dr Weber and takes just half an hour. The filler is injected directly into your lips using a fine needle, and it contains a built-in painkiller, keeping discomfort to an absolute minimum. The lip enhancement treatment is usually quick and the use of local anaesthetic makes it virtually painless. Recovery time after the treatment is typically short and the results can be observed after only a couple of days. This treatment can last for up to 12 months but will vary from person to person.